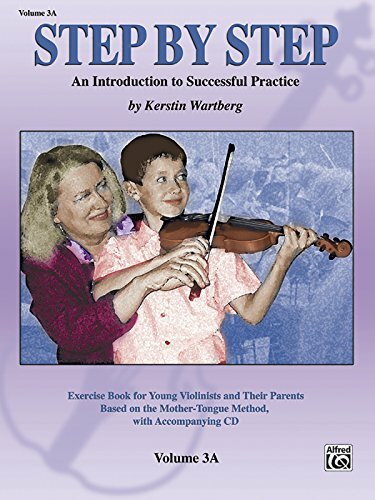 The Step by Step series is a collection of exercise books/CDs for violin based on Dr. Shinichi SuzukiŽs Mother-Tongue approach. From the very beginning, it will provide a solid foundation in instrumental technique. The focus is on teaching correct, child-appropriate practice habits that range from listening, singing, and dancing to playing music. The ideas presented should stimulate daily practice and also make it more effective. The CDs include pieces from the Suzuki Violin School in various tempi as well as the most important preparatory exercises.